Already a Xerox Customer? Thank you. You qualify for a full 10% cash-back customer loyalty rebate ― and no trade in is required. 2. 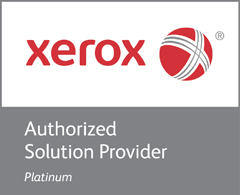 Collect your invoice, old Xerox printer start up page and new Xerox printer start-up page. 3. Use the documents to claim your rebate at: xerox.com/office/claim.